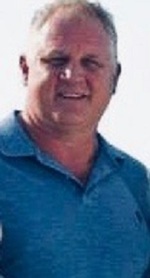 Michael Shawn Wood, 49, of Oxford passed away on Monday, March 11, 2019. Born in Leesburg, he graduated from Leesburg High School where he excelled playing high school baseball and football and also played football at Middle Tennessee State. He drove tour buses for entertainers for several years and later worked as a fireman for and retired from The Village Center Community Development District after 13 years. He enjoyed hunting, golf and music. Michael had recently earned his real estate license and was preparing to start a second career. Michael is survived by his children: Austin M. Wood of Gainesville (mother: Susan Andrews); Beckam W. Wood and Kennedy A. Wood both of Oxford (mother: Jenna Wood); brother, Christopher (Monica) Johnson of Tampa; nephew, Caden Johnson; step father, Stephen (Jayne) Johnson of The Villages; uncle and aunt, Andy & Dee Dee Carlton of Lecanto. Michael was predeceased by his mother, Ann Carlton Johnson. A Celebration of Life will be held on Sunday, March 17, 2019 at 4:00 PM at The Leesburg Boat Club. To send flowers to the family of Michael Shawn Wood, please visit our Heartfelt Sympathies Store.